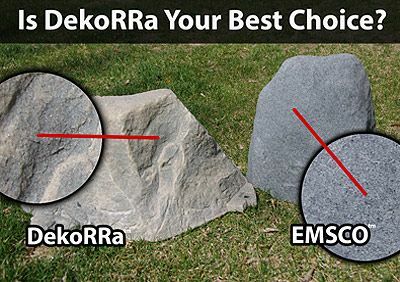 The DekoRRa Model 103 Mock Rock is a great choice for a variety of applications requiring a beautifully rounded artificial boulder cover in the yard or garden. 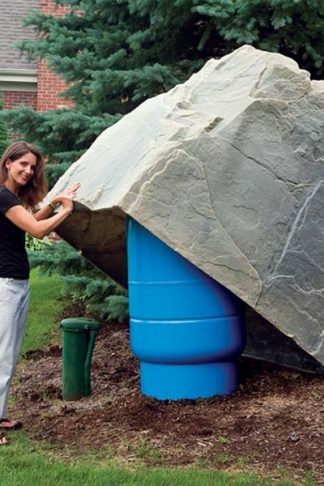 The DekoRRa “RealRock” Model 103 is one big faux boulder! This isn’t your average slingshot fodder or skipping stone. The Model 103 is ready to take that ugly septic cover, pump, backflow or utility box and cover it in over 56″ of realistic color and texture! Covers pumps, vents, utility boxes, septic covers, backflow irrigation valves and more. 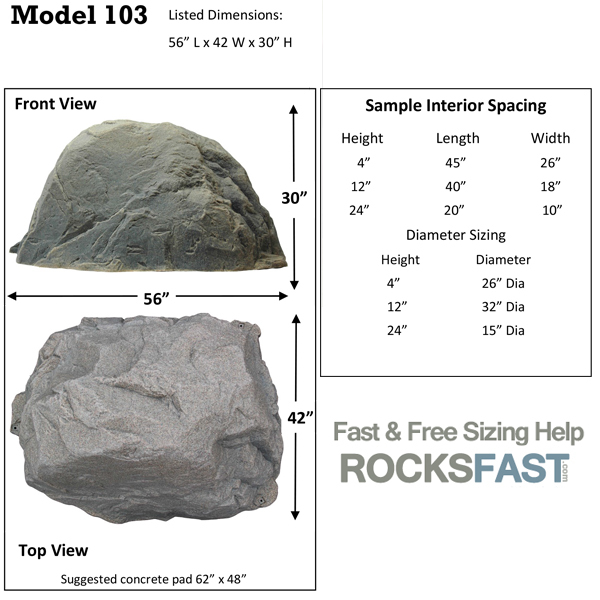 IMPORTANT: Consult the sizing charts below for details on interior dimensions of the Model 103 Mock Rocks. 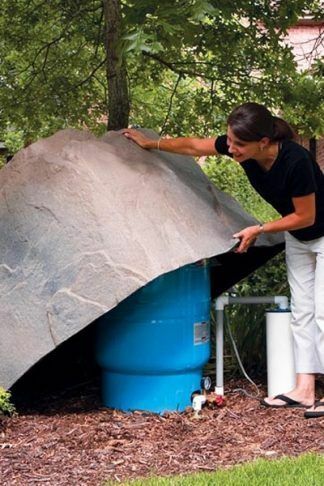 Fake Boulder model 103 is a bit of a jack of all trades. It sports a really slick rounded boulder look, which seems to find a home in almost any type of natural setting. We haven’t seen a yard or landscaped area yet that doesn’t make a good home for these mock rocks. 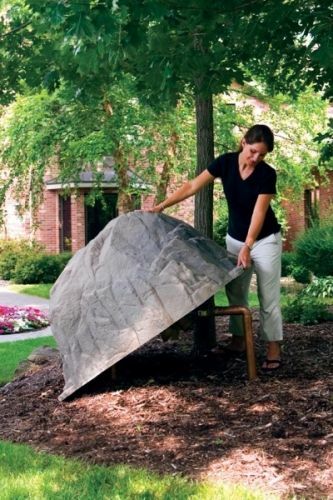 The rounded shape is ideal for large septic risers, small to medium utility boxes, backflow devices, irrigation valves, cable TV boxes, and a variety of other yard, garden, and landscape utilities. The texturing on the exterior is ultra-realistic and really does provide the appearance of authentic stone. If you look closely you can see little flakes of organic material embedded into the molding. This adds a ton of realism and gives the surface a gritty and textured feel. Advanced UV inhibitors are molded into the rock walls along with the colorant. This creates a totally maintenance free product which will not fade or become brittle in the sun. There’s no flaking, delamination, peeling, or any type of repainting necessary at any time. Extreme durability is also part of the equation. The thick polyethylene material will not crack or break, even in extreme heat or bone-chilling cold. Commercial grade fake rocks designed to last a lifetime. – Environmentally responsible design includes 100% recycled plastics. 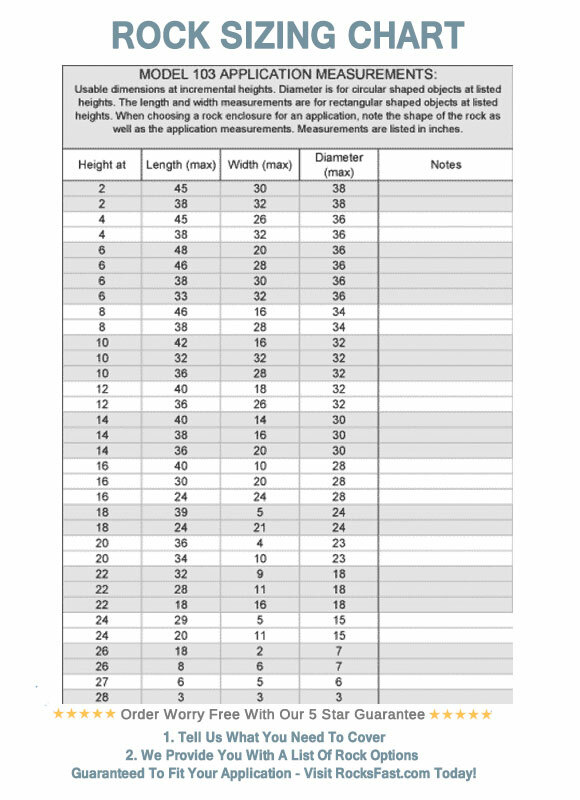 – Thickly molded exterior provides excellent durability. We put this over a backflow preventer that was too wide for the Model 116 fake rock. I must say this looks great! Very impressed with the colors and textures on this fake rock! Thanks! Have had this model for a few years now. Color is still intact and does a great job of protecting the pump and blending into the landscaping. Definitely would recommend this product.